The Ardara Community Employment Scheme has three positions available for the following: 1 Secretarial Worker, and 2 General Domestic Workers. If anyone is interested in applying for one of these positions, please contact Shaun on 086-6068751, or phone the office on 074-95-37373. Please note that community employment criteria will apply. Thank you. A Mental Health Information Evening will be held in the Mill Park Hotel, Donegal Town, on Wednesday 17th May from 6pm to 8.30pm. Talks on the evening will include dealing with dementia, depression, carers’ experiences, legal planning, home security and new suicide services. Everyone is very welcome and admission is free. As part of International Good Neighbours’ Day, you are invited to a cuppa and a biscuit in St. Shanaghan House on next Friday, 19th May from 2pm to 4pm. “Connected neighbours make a safer neighbourhood“. The Choral Offering is next Thursday in the Church. It promises to be outstanding. This June Bank Holiday weekend, the Melting Pot Festival will celebrate 10 years, and what a wonderful contribution this festival has made to the names of festivals, and to Ardara in particular. The very hard working committee led by Martin McGuinness, Paula McMullan and Clare Molloy, with help from so many others over the past 10 years has been a refreshing and exciting event on the calendar of events each year. After this year they plan to make adjustments to the event and hopefully all for the good. Again this year the timetable of events is massive, something for everyone with a particular emphasis on young people and free events. The lineup of stars attending this year is massive and this event is one not to be missed. More to follow soon…. In conjunction with the Ardara Festival of Traders committee, this wonderful event again takes place in Ardara. 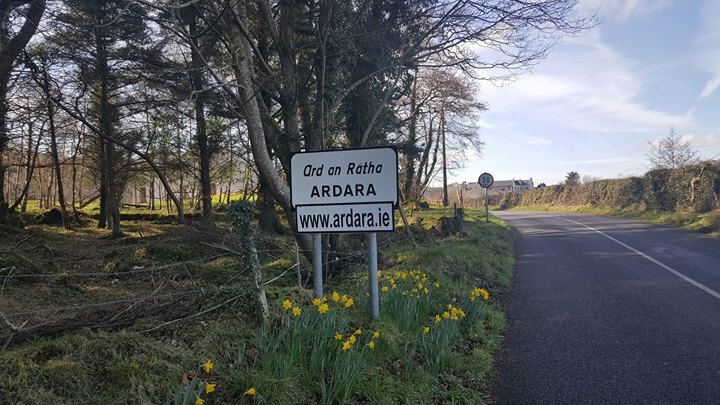 With up to 200 participants, this is a very exciting weekend in Ardara. special thanks to lead man John Curran for co-ordinating this event and ensuring it is one of the great events of the year.